DJI first revealed its updated geofencing system for US airports in October 2018. With this version of the software, DJI’s system enables airports to better protect their runways and other sensitive areas from unwanted drones, helping avoid future incidents like the UK’s holiday airport shutdowns. 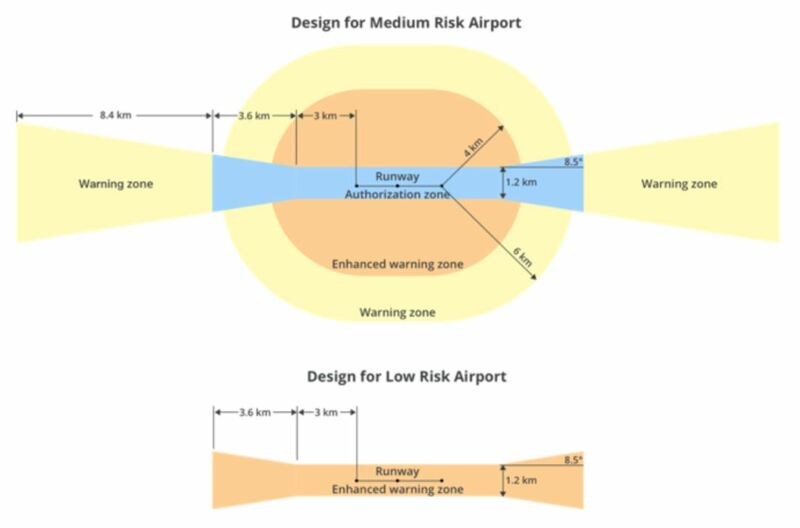 As the company previously explained, GEO 2.0 offers 3D safety zones with bow tie shapes, including low, medium, and high risk models that accommodate different security needs. Of the 32 European countries covered by this expansion, 19 weren’t previously included in DJI’s 2016 launch of its original GEO system; the other 13 countries were using its older software. According to DJI, European countries will start getting access to GEO 2.0 this month. DJI drone owners in these countries will need to update their drone firmware and DJI GO 4 app to accommodate the new geofencing technology.